A lot is said about Fall River residents. Some of it by residents themselves. You hear about the tough exterior, the crime rate, the at times unfriendly nature. That, however, isn’t all you hear. 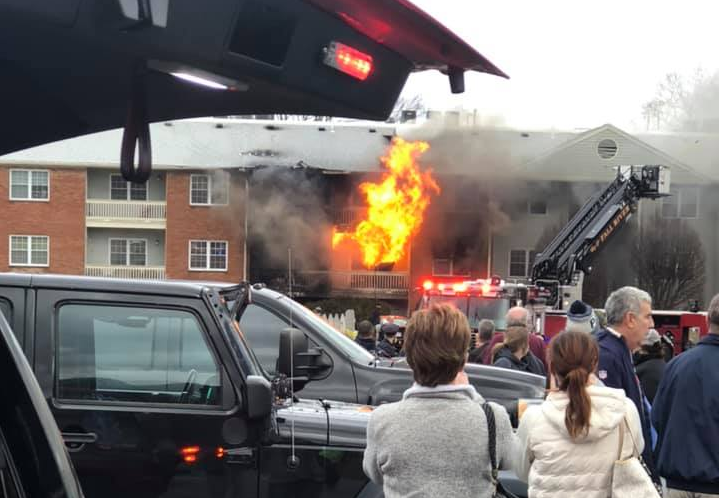 Despite the fact that many residents were far from born with a silver spoon in their mouths, when tragedy strikes their own, they never fail to disappoint. When you are a Fall River resident working backbreaking labor for 8-10 hour days, it doesn’t always leave you with the friendliest personality after a shift. That doesn’t stop him or her, however, from giving their last 10 dollars to help a sick child, the elderly, or in this case fire victims, when they know it is desperately needed. 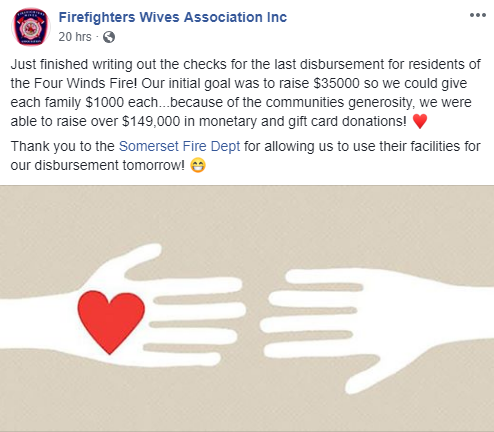 The Firefighter Wives Association announced Friday night that they just finished writing out the checks for the last disbursement for residents of the Four Winds Fire. The initial goal was to raise $35,000 so they could give each family $1,000 each. The final result instead came out to $149,000. The final amounts to be dispersed today. Victims of the devastating fire have continued to show their gratitude for the generosity displayed. While they are grateful, if they really think about Fall River and its people, they wouldn’t be all that surprised. There were toy drives like the one organized by Christopher Peckham. There were fundraisers by countless businesses, Miss Quequechan, and the great work of the Firefighter Wives Association. Even some Facebook groups such as Fall River Scanner Talk raised money for the victims. There was a clothing drive that received so many clothes, that the Firefighter Wives had to tell people to stop giving and a spot in the Swansea Mall was needed to organize it all. While Fall River isn’t a perfect place by any means, the next time you speak of the city, maybe once in a while instead of mentioning the amount of overdoses, you tell your buddy about the generosity of the people who reside there. That’s awesome, great support from the community.